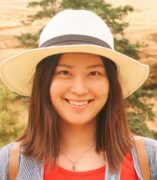 Dai Zhao is a PhD student in Public Administration at the University of Illinois at Chicago specializing in survey methods and financial management. She also received her Master of Accounting from UIC. Dai has been with IPCE since 2014 and works as a Graduate Assistant to provide assistance in financial, budgetary, and administrative work. During her free time, Dai loves hiking, cooking, traveling, and photography.